Whether you spend money on contracted support or you're a warranty only customer, you'll soon notice that we consider a sale the start of our relationship with you, not the end. We focus as much on repair and support as we do on our our hardware to make sure it's constantly aligned to business needs. Even our FREE service levels are faster than others are charging for. Modern, cloud based systems means we update our services all the time. In-house support. Everyone in one place means we can solve issues quickly. Everything we do is based on feedback and reacting to customers needs. 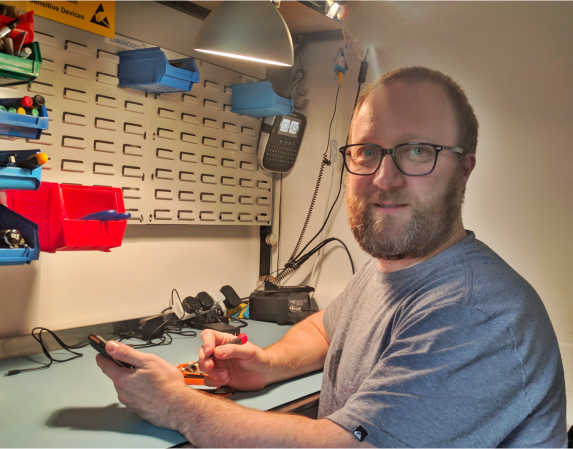 At the heart of any rugged device support service, lies the repair centre. 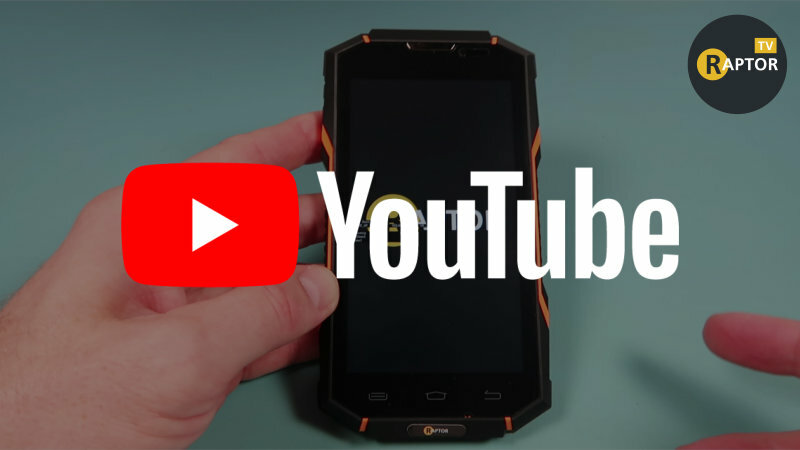 Your rugged devices are critical to your business. They need to be back running as quick as possibble when they have an issue. That's why 95% of our most basic, free warranty repairs are completed in under 3 days. It's always frustrating when in your time of need, there's never anyone around. We don't use bots or technology that make life difficult. We just have engineers and account managers, in one place, ready to help. Your business needs change all the time so our support products change with you. Ad-hoc fast repair times when you want them most. Get a top grade support level without a costly contract. Raptorhub support portal "One click" repair logging. 24 hour swap out repair options. resolving them quickly when they do. 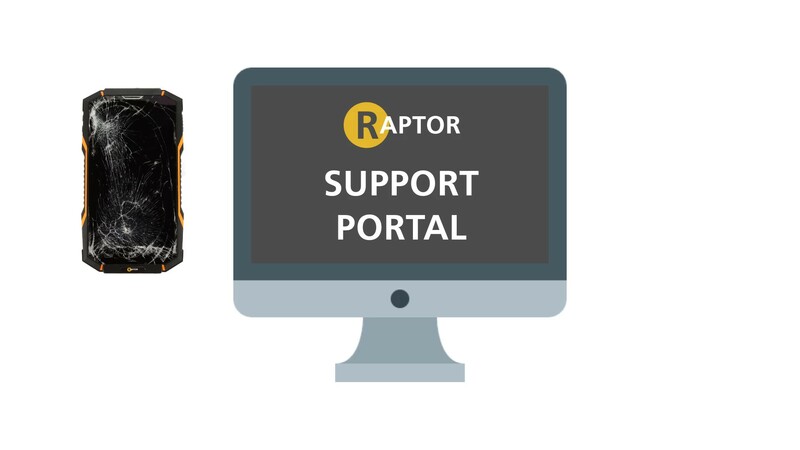 The "Raptor hub" support portal is the control centre for managing your Raptor devices. Simple, secure and free for all customers. 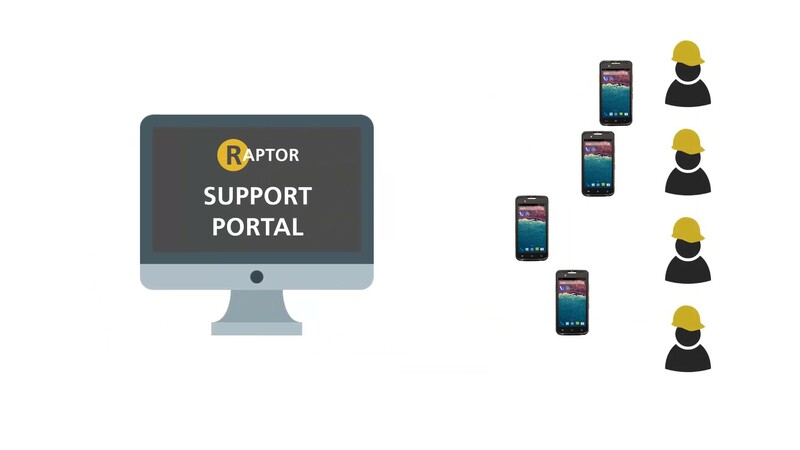 The Raptor hub support portal is the home for all your rugged mobile devices. With just a few clicks, you can log in, configure and manage your whole mobile platform. 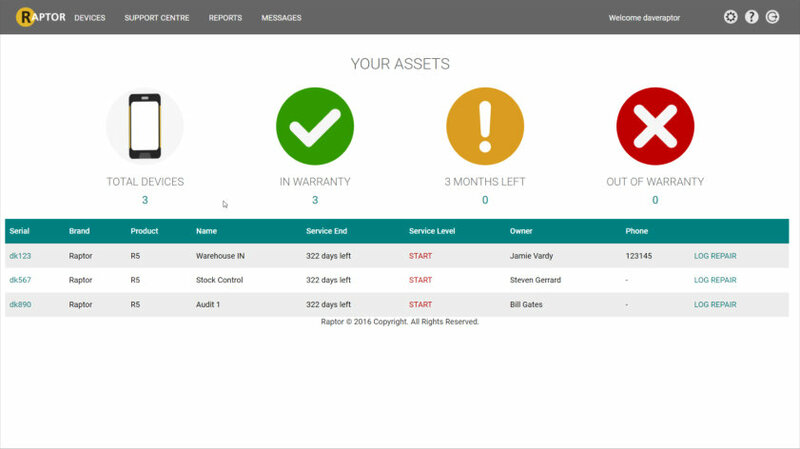 Log repairs in seconds, keep track of all your devices. Spend time on your business, not your hardware issues. 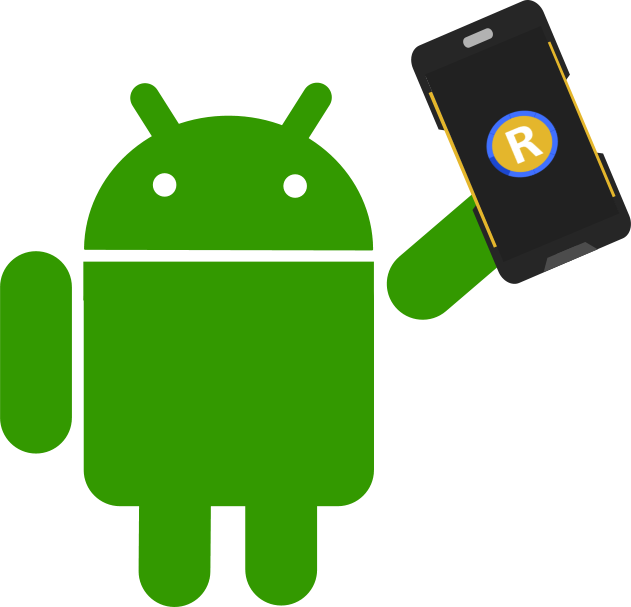 Get advice, product reports, help your workers get the best out of their devices. Find tools to protect your devices & workers and stop problems happening. 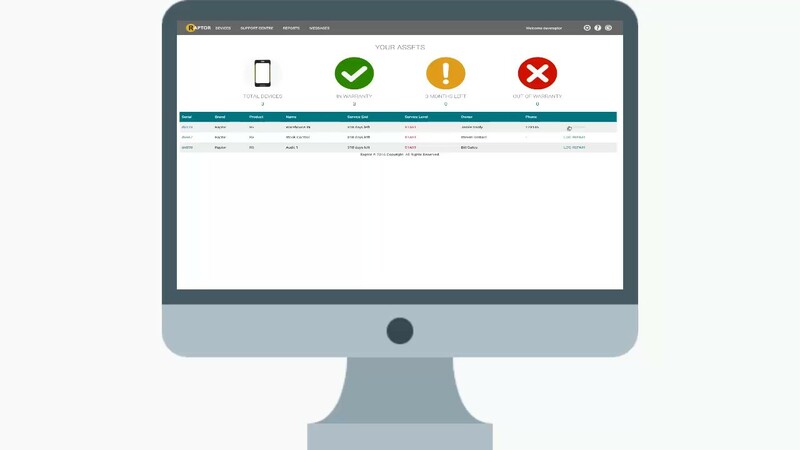 Connect your devices up for maximum security and features like tracking & comms utilities (Coming soon). Always showing, helping, ranting and raving! Constantly being updated, How to's, demo's, sneak peaks, learning articles, project tool kits and much more. Great FREE products, superb comprehensive support services and bespoke modules ensure there's a support product fit for your business. "Pay as you go repairs"